The Potter’s House at One LA App features powerful and inspirational content from Pastors Toure and Sarah Jakes Roberts. 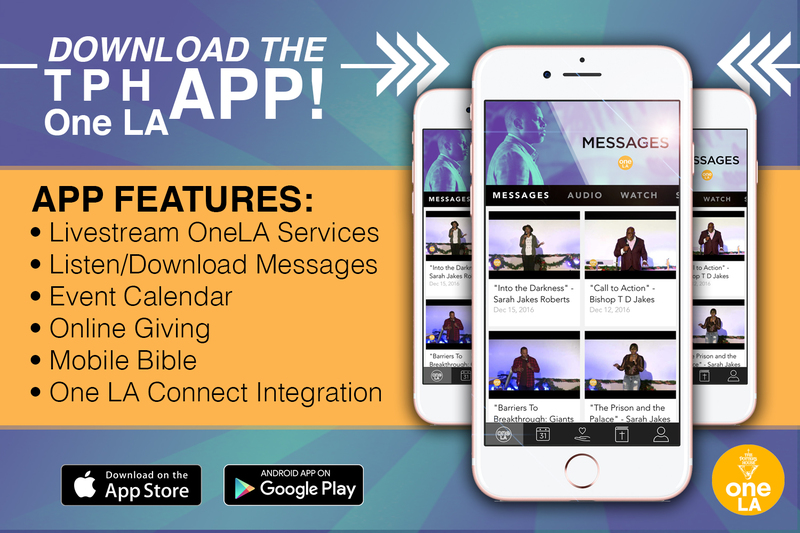 To help believers strengthen their faith, this app provides access to life-changing audio and video sermons, live worship experiences, insightful content and relevant information about The Potter’s House at One LA. Additionally, you can also share content with your friends via Twitter, Facebook, and email.